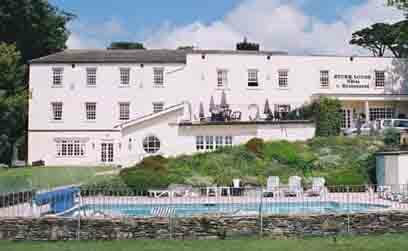 Stoke Lodge is a country house hotel, near Dartmouth, Devon. The hotel is family-run with friendly and efficient staff to ensure first-class service and comfort. The real beauty of Stoke Lodge is that it is small and friendly making it the perfect place for an enjoyable and relaxing break. You will find the facilities and service fantastic for a three star hotel of this size. After a long day walking the coastal paths or sunning yourself on the beach you can return to the hotel for a home cooked meal in our highly recommended restaurant, then spend the evening relaxing in our friendly bar or planning your next days activities in the comfort of the residents lounge. The hotel is set within three acres of grounds which are made up of beautifully kept gardens, lawns and wooded areas. As well as this you will find an all-weather tennis court, putting green and even a giant chess set. We have a choice of indoor and outdoor swimming pools so you can always enjoy a swim whatever the weather. Our outdoor pool and terrace are a real sun trap in the summer while the indoor pool is situated alongside a sauna and jacuzzi, great for those winter days. 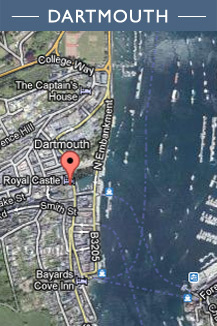 Although we don't have our own golf course, the Dartmouth Golf and Country Club is only ten minutes drive away, and Churston, Thurlestone and Bigbury clubs are also accessible. After an afternoons golf why not relax with a drink from our bar and a game of snooker on our full sized snooker table.